a portrait of the late Polish jazz violin player Zbigniew Seifert. the Swiss bassist Hans Hartmann and the Polish drummer Janusz Stefanski. They got interviewed and played together again for this occasion. 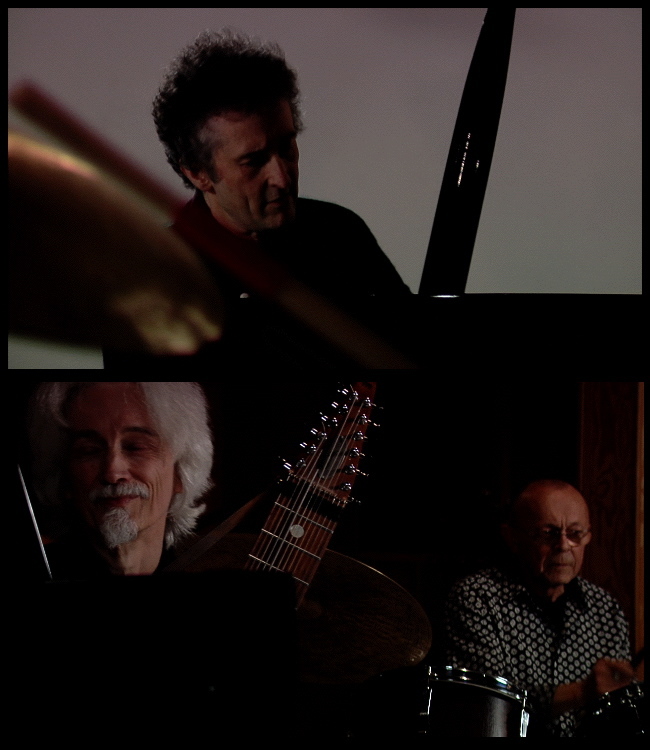 Michel Herr (piano), Hans Hartmann (stick) and Janusz Stefanski (drums). Frankfurt (D), October 29, 2007. Screen grabs from the movie "Passion" by Erin Harper.